Beware everybody, Ketan Parekh is on the loose again. Whenever KP strikes, he uses his evil henchmen known as the K10 syndicate to perpetuate his evil designs. Because KP is back to his evil ways, SEBI has decided to deal with him in the only way it knows how – pass on the responsibility to someone else. This someone else can be anyone from the CBI, Mumbai Police, The Home Ministry, The Supreme Court, Censor Board, Women’s Commission, Association of Child Welfare, National Egg Coordination Committee, The Judges of Indian Idol, Femina Miss India Contestants, Mtv Veejays, Children From Slumdog Millionaire Or Random People From The Street. None of whom will ever stop Ketan Parekh. 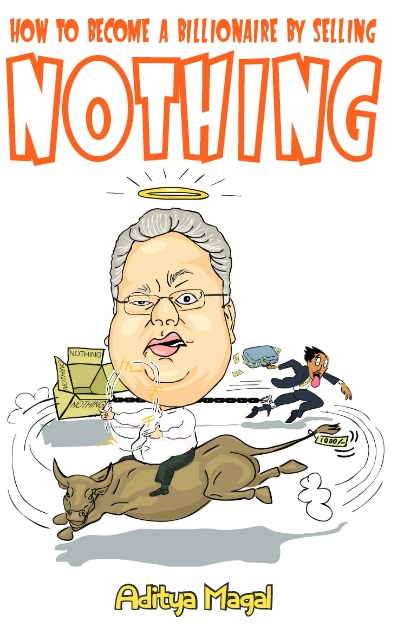 In fact if it wasn’t for me then SEBI wouldn’t have even realized that KP is indeed a criminal. They thought that he was yet another Gujarati who was simply using the Bombay Stock Exchange as a building to get his daily dose of morning exercise. It was only after I told them that One Hundred Crore had gone missing and thousands of people had lost their life savings that they finally decided that it was a reasonable amount to do something about. Now that KP has found yet another way to beat SEBI, SEBI has done what it usually does. This time it has passed on the responsibility to something called the ‘Enforcement Directorate’. In order to stop the K10 syndicate and other deviant entities in the Indian markets a top secret organization was formed in 2001 by order of the Government’s Secret Amendment Of The Secret Constitution Of Secret Stockbreaking Under The Secret Section Of The Secret Stockbrokers Act Of The Secret Samvat Year Of 2060. If you still don’t get it, it’s because it’s a secret. The organization is known only as the ‘BROTHERS OF EQUITY’. Its members include Motilal Oswal, Samir Arora, Ramesh Damani, Madhu Kela and its most important Member, Chairman, President, Boss, CEO, Managing Director And King. You would have never heard of the ‘BROTHERS OF EQUITY’, we are an organization so secret that we are mentioned by name only on secret journals that are read in secret by those who seek secrets. If you were to ever ask any of us about the ‘BROTHERS OF EQUITY’ we would deny any knowledge of it and have you committed in a mental institution on charges of being a nutcase. 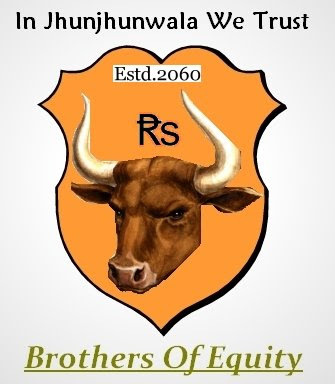 The motto of the Brothers Of Equity is simple, direct and to the point. It even won ‘The Best Secret Catchphrase Award’ at this year’s ‘Secret Awards’ for ‘Secret Catchphrases Of Secret Organizations’. There are some organizations like the RSS which are organizations only and not secret organizations. You will never find the Brothers Of Equity wearing chaddis like the RSS Chaddi Boys. The Brothers of Equity (BOE) had a secret meeting at a secret location where we discussed the many ways in which we could disarm the K10 syndicate and destroy KP forever. 1) Kidnap the PIGEON nesting on Sonam Kapoor’s head and throw that pigeon at Ketan Parekh at the rate of 720 kmph. 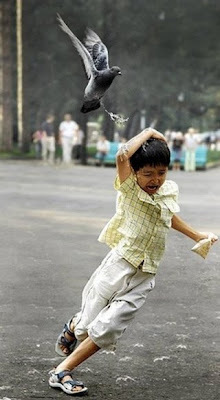 Better still forget the pigeon, throw Sonam Kapoor at Ketan Parekh at the rate of 1090 kmph. That should do it. The collision would cause a brain hemorrhage in KP and bring about a greater good. The end of the PIGEON HEAD SONAM KAPOOR who would die in the collision. 2) Make the K10 watch 1000 hours of non stop BALIKA VADHU. 3) Put KP and the K10 in a room with bandmasters Rangila and Rasila.Have HARISH BAND(last seen in Dev D) blow as hard as possible on their trumpets while performing the hit song with a spelling mistake ‘EMOSIONAL ATYACHAR’.The sound of the trumpet at close range is guaranteed to cause massive heart attacks. 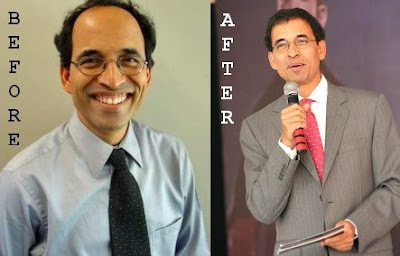 4) Take the K10 hostage at gunpoint and force them to make a comparative study of the ‘BEFORE’ and ‘AFTER’ images of Harsha Bhogle upon his using ‘Kesh Yog’ hair oil from Telebrands. Shoot them if they are unable to account for the recent spurt of hair growth on the skull of Harsha Bhogle. 5) Use image therapy again but this time show them the ‘BEFORE’ and ‘AFTER’ shots of Koena Mitra’s excellent nose surgery. Tell KP to plot a mathematical graph showing the rate at which Koena’s nose will end up looking like Michael Jackson’s nose. KP will be unable to do this as the graph requires constant values, Michael Jackson’s nose changes according to time therefore making his nose a variable. Since Ketan will be unable to predict the rate of decline of Koena’s nose as compared to Michael Jackson he can be hung until death according to the Indian government’s secret act of secret hanging of people who fail to secretly diagnose the secret rate of decline of the secret nose of Koena Mitra. 6) Hypnotize the K10 by making them watch in slow motion the repeated sideways movement and rhythmic shaking of Priyanka Chopra’s buttocks in the Nokia Ad. 7) Tell Padamsingh Patil about KP.He’ll get rid of him. 8) Make them listen to a never ending sequence of nursery rhymes sung in the voice of India’s new Lok Sabha Speaker Shrimati Meira Kumar. 9) Lure them into a false sense of security on the pretext of non violent resistance and gift them a holiday to Australia. When they get there they’ll surely be beaten by Australian punks in the name of racism and anger over the Australian team being knocked out of the World T20 by brown skinned Asian people. 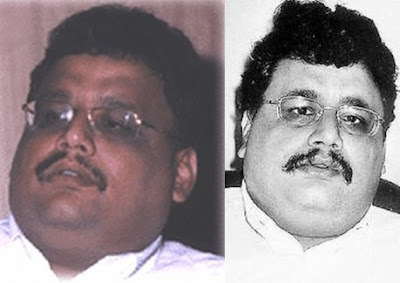 10) Kidnap ARUN GIRI from UTVi headquarters. Shave of his moustache and use his distilled moustache hair as a food poisoning agent .Plant Arun Giri’s moustache hair in the food of the K10.The fatal Arun Giri moustache hair is guaranteed to choke them and poison their central nervous system thus rendering them all dead. 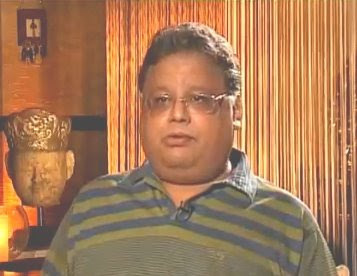 I always knew that Arun Giri’s moustache hair would one day kill Ketan Parekh. 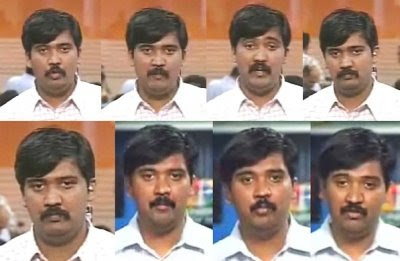 The potency of Arun Giri’s moustache can be exceeded only by the potency of another moustache. That of the one known as Rocky J.